Little Lion Ice Cream is a local artisan coffee and ice cream shop that has changed the way Wichita enjoys ice cream! Serving up a menu made from scratch with locally sourced produce and dairy, Little Lion is more than just an ice cream shop. 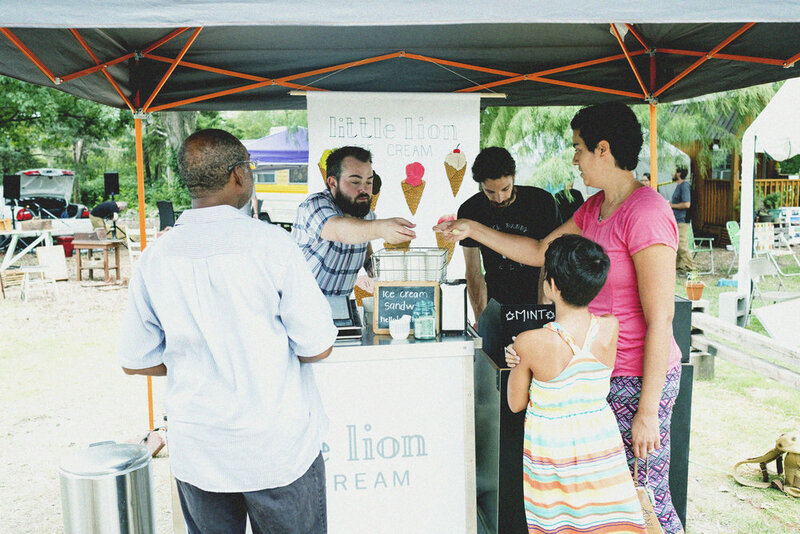 Influenced by their passion for good coffee and ice cream, Little Lion Ice Cream founders, Ian and Jubilee Miller have created an experience! Ian and Jubilee Miller, to say the least, have seen much of the world. Between the two of them they have traveled in Asia, Africa, Europe, Central America and have visited most of our fifty states. Before the two met, Ian ventured to and lived in Morocco. Jubilee had her own adventure while living in China and then as a couple, the two lived in Spain. Throughout their travels and along the way, Ian and Jubilee spent a year in Columbus, Ohio. While there, they discovered an artisan ice cream shop. Any occasion imaginable was celebrated and even bad days mourned at the little ice cream shop. The Miller’s moved back to the Wichita area in 2011 to continue their educations, settle down for a bit and to eventually start a family. 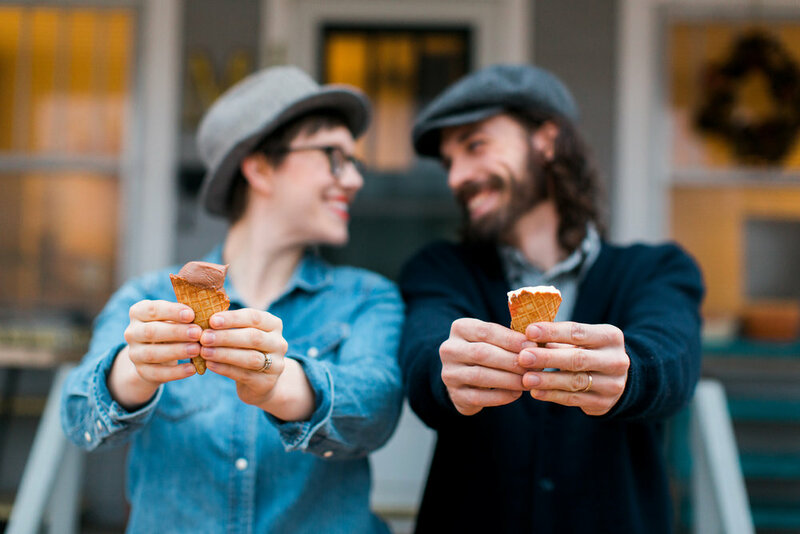 While Wichita had a lot to offer the young couple, they couldn’t get the little artisan ice cream shop out of their heads. 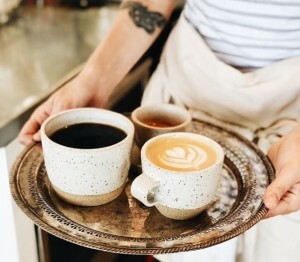 They turned to coffee to soothe the loss of ice cream, and Ian took up roasting. In no time a connection and great talent was realized. Ian has been roasting ever since! In 2014 they discovered they were expecting a baby. The Miller’s would go for walks in their beloved Riverside neighborhood and dream of their little baby to be! They had a feeling that the baby was a lion, full of courage. They imagined this little lion growing up and as parents they wanted to be models of courage and bravery. Ian and Jubilee wanted to live out of their true selves and blaze the way for the baby to pursue all her dreams. Florence Monroe was born in March of 2015 and according to Jubilee, her first sounds were little lion roars! The following year, Little Lion Ice Cream was born. Originally distributed to Wichitans by an ice cream cart at local events and festivals. Today, Little Lion Ice Cream has a brick and mortar shop at Revolutsia located at 2721 East Central, Wichita and is served at multiple locations around town! 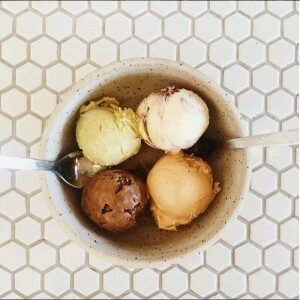 Little Lion Ice Cream is crafted with as many local ingredients as possible. Ian and Jubilee even take their team of employees along with them to handpick the produce that goes into the menu! A few of the local farms that Little Lion Ice Cream supports are, Firefly Farm, Elderslie Farm, Sweet Berries & Brambles and Chautauqua Hills Farm. What’s on the menu you ask? Darn good ice cream is what’s on the menu! One of a kind, knock your socks off, I wasn’t expecting that ice cream. Flavors such as Lewellen Mint, which is as cool and refreshing as it sounds, Lime Coconut Avocado, a flavor inspired by Key Lime pie, but is somehow so much better and creamy! And for all those classic chocolate ice cream lovers out there, Hello Coco will leave you bewildered as to how they produced a chocolate ice cream that’s better than any other chocolate ice cream you have ever put in your mouth. While ice cream may be the star of the show, you’ll discover more while debating what to order. 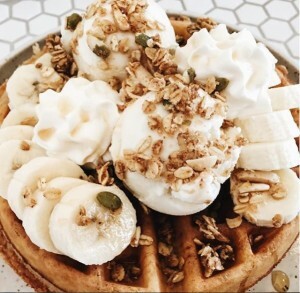 Little Lion also features fresh baked scones, waffles and pastries as well as ice cream cake, coffee and vegan options. You can find Little Lion Ice Cream in their new location at Revolutsia located at 2721 East Central, Wichita, in any Expresso To Go Go location, Luciano’s, Jane’s Landing, Bluebird Books and at various pop up markets and local festivals throughout the year! Little Lion Ice Cream also offers catering! Which is the perfect addition to your next special event. Click HERE to inquire! Follow Little Lion Ice Cream on Facebook @littlelionicecream, on Instagram @littlelioncafe and on Twitter @littlelionICT to keep up with new items, flavors and upcoming events! Visit their website at LittleLionIceCream.com or click HERE to send a message!